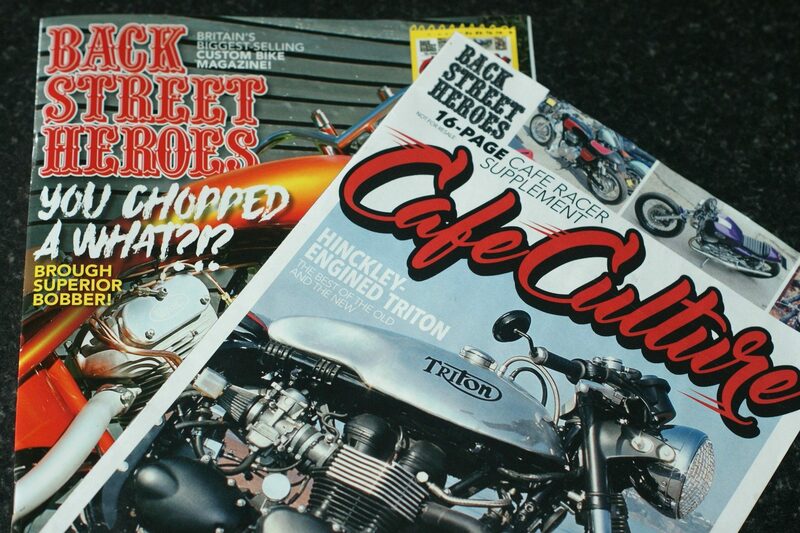 Back Street Heroes, the UK’s leading custom bike mag, has moved to the dark side and produced an entire pull-out dedicated to the wonderful Cafe Racer scene. The bike they decided to use to kick-start their new hobby just happens to have our sprint tank on it. Don’t forget to pick up a copy of this month’s Back Street Heroes magazine!